Penetration testing is an attempt to exploit the vulnerabilities to determine whether unauthorized access or other malicious activity is possible. Penetration Testing Essentials generally includes network penetration testing and application security testing as well as controls and processes around the networks and applications and should occur from both outside the network trying to come in (external testing) and from inside the network. So, professionals, we have provided you with the complete knowledge about the skills required for Penetration Testing Essentials with this blog. 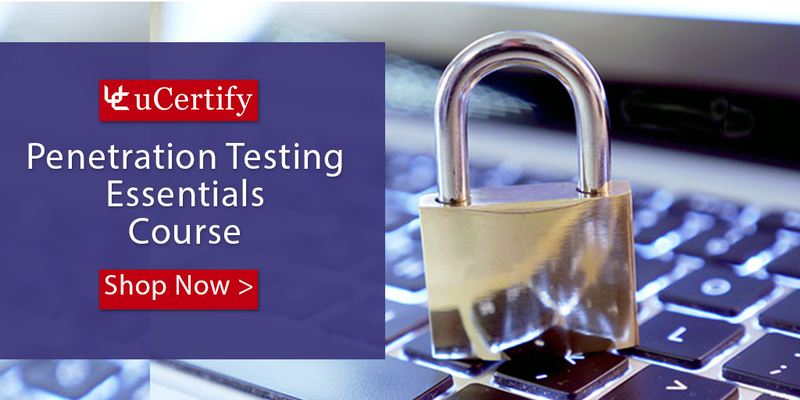 Don’t waste your time and get yourself to enroll in the uCertify new released penetration testing essentials course and accelerate our career trajectory. Posted in CompTIA, Penetration Testing. Kick start your prep for the ISC2 CISSP certification with Pearson CISSP Cert Guide. 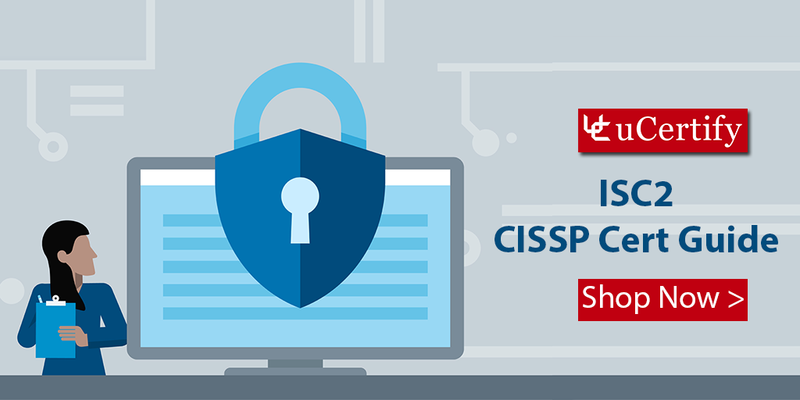 The course covers all the objectives of the CISSP certification exam and helps in engineering, implementing and managing the overall information security program to protect organizations from growing sophisticated attacks. The ISC2 CISSP certification is an industry recognized credential and is designed to certify the competency of IT professionals to design, engineer, implement, and manage the overall information security program of an organization. You can pass the ISC2 CISSP certification exam in your first attempt through uCertify interactive lessons, test-preps, quizzes, exercises and many more features. So, enroll in the course for the best results and to succeed in the exam. Posted in CISSP, Course, ISC2, IT certification. Q. What is the prerequisite for taking the test Security+ 2008 Edition (SY0-201)? A. There is no prerequisite for taking the test SY0-201. However, it is recommended that CompTIA Security+ candidates should have at least two years on-the-job networking experience, with an emphasis on security. The CompTIA Network+ certification is also recommended for taking the test. Q. What certificate does it provide? Posted in CompTIA, Everything you want to know, Security+. Q. What are the prerequisites for the SCMAD Version 1.0 exam? A. Before taking the SCMAD version 1.0 exam, you must first pass the Sun Certified Java Programmer exam (CX310-025 or CX310-035 or CX310-055 or CX310-065). Q. What are the exam objectives? Posted in Everything you want to know, J2EE, Java, SCMAD.